Nothing shakes the body like the roar of a Supercar and gets the blood pumping more than a driving session in a race-prepared Holden Commodore or Ford Falcon around a race track. 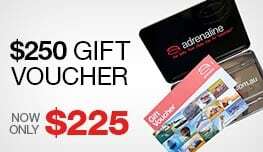 The first and only experience to be officially endorsed by Virgin Australia Supercars Championship. Your Supercars Official Driving Experience begins with a briefing conducted by experienced race drivers. During the briefing and 2 orientation laps driven by an instructor around this 2.1km track, your driver will explain techniques on cornering, apexes and exiting, efficient braking and acceleration, steering, gear changes and general car control along with safety and track awareness. There's plenty of time to ask questions so you'll feel completely comfortable before putting your Supercar theory into practice. Then it's time to let loose your inner revhead during a session of real life Supercar driving action. Each driver does 7 laps behind the wheel of their Hold or Ford. Wear a comfortable pair of enclosed shoes. We recommend sneakers. 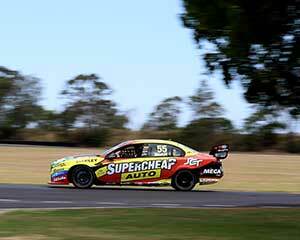 A fleet of Holden and Fords have been purpose-built onsite by Paul Morris Motorsports. The vehicles are presented in a selection of Supercar team liveries. All vehicles are equipped with a safety roll cage, racing seats and harnesses, full race aero kits, quick-shift gearboxes, Supercar-like suspension and slick racing tyres. The Supercars Official Driving Experience, located at Norwell Motorplex and is located just 30 minutes from north of the Gold Coast and 30 minutes south of Brisbane and is the only Supercars Experience in the world to be officially endorsed by Virgin Australia Supercars Championship. What an awesome experience..Robbo took us on a sighting lap and explained what i needed to know really clearly and i had the other young Rob for my instructor,he was great..awesome instructions.pushes you hard n really knows what he on about,no way did i think i would be aloud to drive that hard..bloody awesome,i had 7 laps but paid for another 3 ..if i lived local id do this weekly lol..theyll see me again Thanks V8 Experience ..you made my year?? 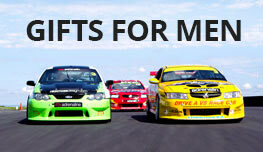 For die hard V8 Supercars fans and enthusiasts I strongly recommend this Supercar experience. Short of driving the real competition race cars at 680hp this is as close you will get. The Gold Coast circuit at only 2.1klms is still a lot of fun. Great Team Great focus on safety Great Cars :) Well Done Team! It was great! Plan to do it again! Great day. Can't wait to do it again. The staff at Norwell Motorplex could not be anymore friendlier if they tried! What a great crew! Had a fantastic drive with Robbo. Could have easily kept going. Such a fun experience thx everyone for a great time! Our group enjoyed the experience immensely I'm sure when we visit the Gold Coast again they will definately be back.